Everyone’s becoming smooth casanovas as the years go on LOL. Hideyoshi has always appeared before Nobunaga? 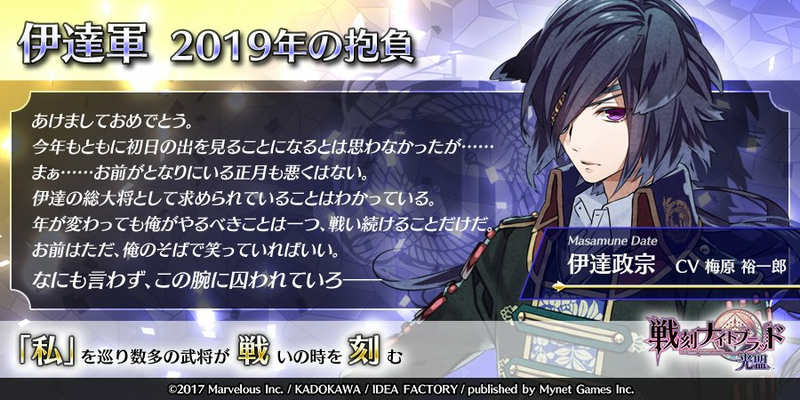 Nobunaga’s new year messages are always last. But this time I did schedule Hideyoshi before everyone else because he specifically mentions 4 days after New Year starts so I had no choice LOL I have things queued until next week because they keep coming out with stories hjkfghjgfhj. Now that’s what I call character development from a tsundere!